Over the years of browsing and building thousands of real estate agent websites, we’ve observed a few common mistakes that lots of agents are making on their site. This article will shed some light on the issues and how they could be costing you leads. It will also give you some helpful tips on turning it all around for the better. In today’s competitive market, you can no longer claim to be a “Greater Vancouver Real Estate Expert”. It’s just too vast of an area to cover in detail. People like to work with experts that have proven results. Let’s say you’re selling your own 2 million dollar house in West Vancouver, would you rather use someone who is spread thin across all of Greater Vancouver, or would you rather use the expert who focus’s on that specific area (and even property type, lifestyle, price range, etc.)? Most would choose the expert. All too often agents use a generic tagline like “Your Vancouver REALTOR®” which is great if you’re just starting out, but if you really want to land those deals you need to come up with something more focused. Identify your target area(s) and build out pages on your website that focus on them. For example, with RealtyNinja, you can create an unlimited amount of “Niche MLS®” pages that are built once and automatically update themselves 4 times a day with the latest listings. 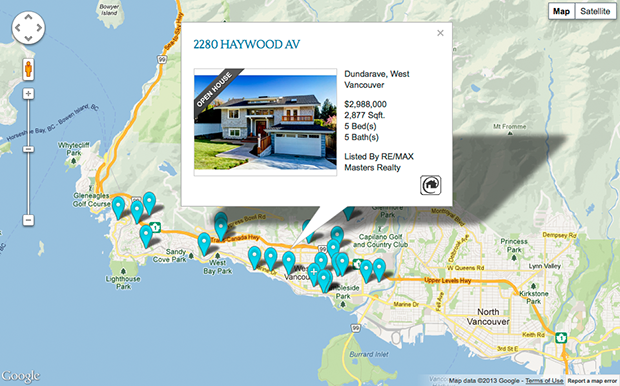 So instead of just having a general “MLS® Search” on your site that spans the province… try adding more specific pages like “2 Bedroom Houses in West Vancouver” or “West Vancouver Luxury Real Estate (that is set to only display listings over a certain price)” etc. Go the extra mile and buy a few domains that are hyper-local. 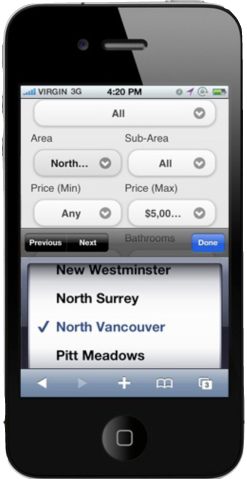 For example you can buy a name like “westvancouverhouses.com” and forward it to the West Vancouver MLS® search section of your website. Then, when you send out flyers or create an ad in that area, you can advertise your hyper-local domain. This will give the impression that you’re the expert in that specific neighborhood, niche or even building. Better yet, you could create multiple “satellite” websites that focus on certain niche’s; be it a property type, lifestyle, a specific building, price range, area, sub-area, etc. Then, on each, you create content that’s relevant to that specific site. You can even link between them and back to your “main” personal website. Google comes to your website multiple times a day to “crawl” for new content. If your website isn’t regularly kept up-to-date it can fall behind in search rankings to websites that are. All too often I see an agents website with the last update or blog post from years ago. To potential clients, this makes it look like you’re no longer actively working as an agent. Sellers want to list with agents that they know are actively busting their butts trying to close deals, not a part-time hobbyist. If you’re a RealtyNinja customer; create a few Niche MLS® Pages and building pages. Search engines will see that your website is regularly being updated… even if its automated. Also, another great section of your website to keep up-to-date is your blog. If you’re like most agents, you probably won’t be updated your normal content pages (buyers, sellers, testimonials) all that often… but on your blog, you have the ability to frequently post bits of content, that shows Google you’re actively updating your site. Also, if your website automatically displays your latest social media activity; people can see that you’re well-connected and giving your business dedicated attention. If a user has to learn how to use your website, you’ve lost them. Even “techies” get frustrated with complicated websites, imagine how a not-so-techy person feels. You have a very small window of opportunity to keep a users attention when they land on your site. If it’s cluttered or complicated, most people just leave. Don’t make your users think too much. Simplicity prevails through any design trend and appeals to all audiences. If you’re going for the broadest appeal, keep it simple. Make the experience easy, and dare I say enjoyable. Also, don’t put a ton of obstacles between the user and the information they’re seeking. Nobody’s going to fill in a huge form just to look at some public listings they can get elsewhere. Most people are browsing your site while doing a million other things… they’re not about to commit to something without getting true value from it. People fear that if they give their personal information to you (or anyone online) they will get spammed constantly. If you’re looking to capture leads and contact info from your visitors, give them something of value that makes the trade-off worth their while. For example, allowing your users to subscribe to email alerts on new listings that match their search criteria saves them the time of coming back to your site every day, doing the same search and comparing results. That’s true value. And of course, if you’re a RealtyNinja customer, this feature comes standard (shameless plug). According to super smart internet analysts, by 2014 more than half of all web traffic will be done on a mobile device (smart phone or tablet). PC/laptop sales are plummeting and your website needs to not only work, but be specifically designed for the ever-changing plethora of devices. Someone using a mouse and keyboard interacts much differently with your website than someone using a smartphone. 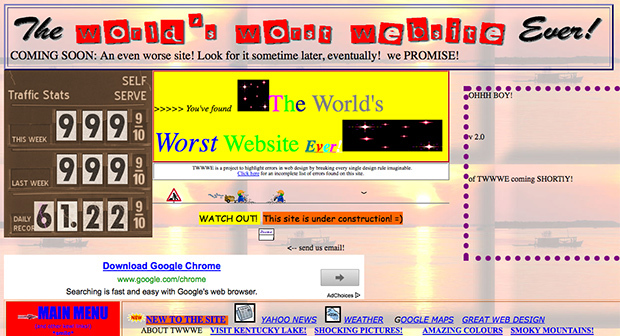 Even worse, if your website is built in Flash, you’re out of luck. Since Apple officially declared it will never be supported on their mobile devices and Adobe is no longer actively developing new versions of it for mobile, it’s time to upgrade your website. New technologies like HTML5 are completely replacing Flash. Big fingers need to be able to press big clear buttons… don’t make them zoom in or squint to read your content. Also, having a mobile-optimized website means that you can take advantage of the devices built-in features such as geo-location, screen orientation and gestures (swipe, etc.). You should either order a custom responsive website from your local web experts, or use a platform like RealtyNinja which has a dedicated mobile site, which comes standard without any extra fees. The web is always changing. Trends come and go, and techniques that we’re standard at one point (like intro’s, music, loading animations, etc.) are now a surefire way to look dated. If you’re looking to attract the next generation of web-saavy buyers and sellers, you need to impress them with a beautiful, user-friendly website that makes you look good… even if you don’t have the slightest idea how it works. As long as you’re using a modern (real estate specific) website platform, your website is pretty much guaranteed to evolve with technology. Long-gone are the days of rigid/identical templates and having to learn code to make updates. And of course, you probably already guessed that with a website by RealtyNinja, you don’t have to worry if it’s not good enough to keep up with today’s demanding marketplace. Let me know what you think of this article in the comments section below. I’m always open to feedback and hearing your thoughts. Thanks for reading!